The XPS M2010 is a completely new concept in mobile entertainment and Dell's most innovative PC. This high-performance system features a revolutionary and stylish portfolio design that quickly deploys into a total multimedia and entertainment solution. 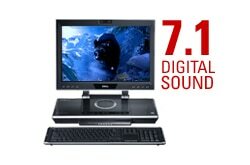 Powered by the Intel® CoreTM 2 Duo processor and featuring a massive 20.1-inch display, eight built-in speakers with subwoofer, and a BlueToothTM wireless keyboard/mouse combo, the XPS M2010 redefines portable entertainment while setting a new standard in laptop multimedia performance. In just seconds, your XPS M2010 turns from a stylish and portable briefcase with a leather-like back, gloss accents, and lines and curves like a fine sports car, into a complete entertainment center. The full-sized keyboard with integrated touchpad and 10-key number pad offers wireless convenience, detaching from the system to give you added flexibility and comfort. The XPS M2010 offers you complete control over your multimedia with front-side control buttons that put your music and movies at your fingertips, as well as a motorized slot-loading DVD burner and 13-in-2 media card reader. In your home or on the road, the XPS M2010 offers a brilliant cinematic viewing experience. Behold 20.1 inches of high-definition viewing while basking in the stunning clarity of high-definition digital sound backed by eight built-in speakers and subwoofer. Gaming, movies, TV, video - the XPS M2010 was conceived, designed and built to deliver the ultimate mobile entertainment experience without compromise. Plus its array of video and audio ports allow you to seamlessly integrate it into your existing home theater setup. 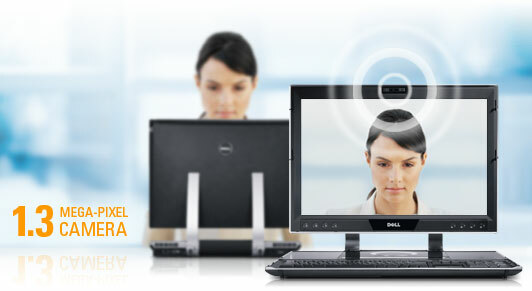 The XPS M2010 offers integrated audio/visual communications functionality, including a 1.3 megapixel camera built into its chassis and a digital array microphone. On the 20.1-inch screen, video chat and conferencing will come to life, making you feel like you’re in the same room as friends, loved ones and colleagues. 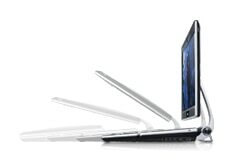 HyperConnect with the XPS M2010 and next generation Wi-Fi to enjoy high-resolution photo transfers, high-definition video or audio streaming, online gaming and more without sacrificing speed. Get nearly 25% more range* and go up to 50% faster* with your current 802.11g router! The XPS M2010 is a true original, giving you a complete entertainment solution in a stylish and portable package. 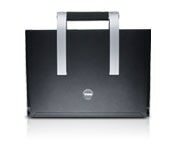 The charcoal-colored outer shell gives the XPS a sophisticated appearance that looks great in the home or office. And features such as its anodized articulating hinges are built tough to help ensure the M2010 is as durable as it is impressive.